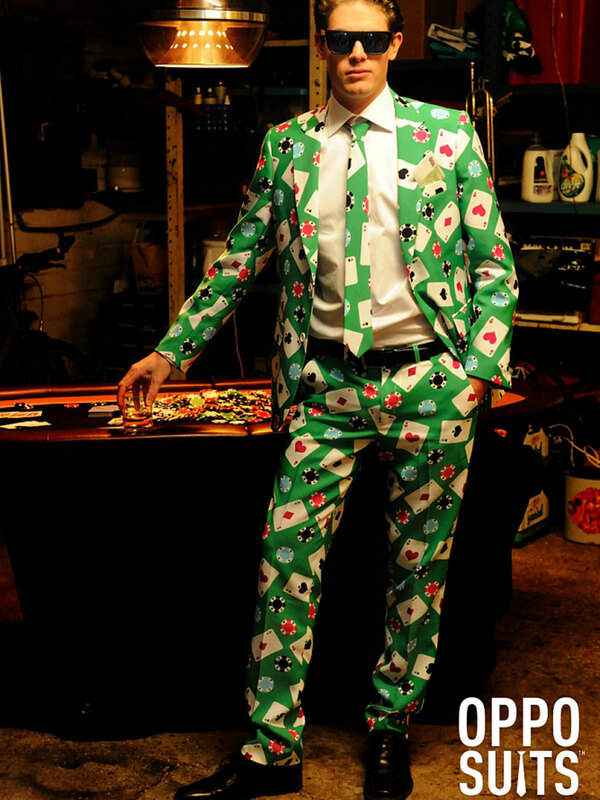 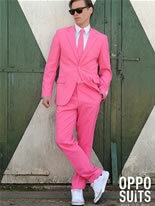 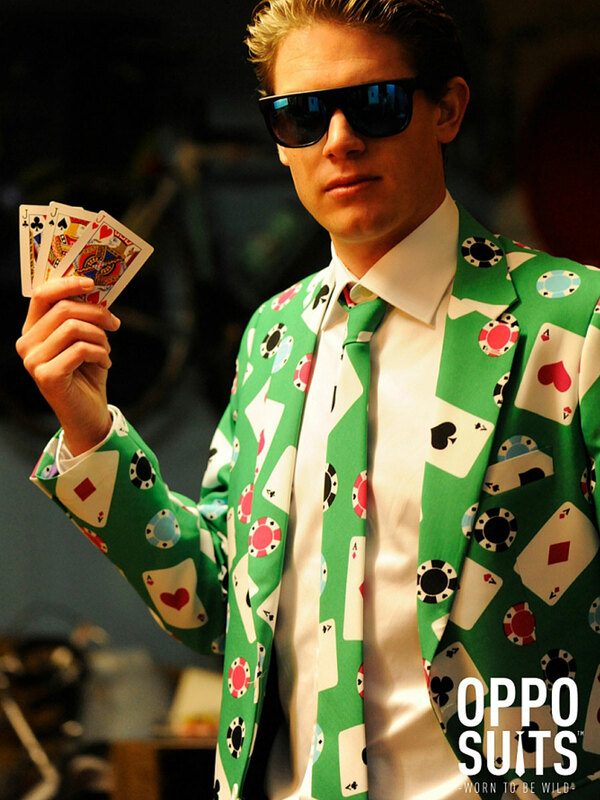 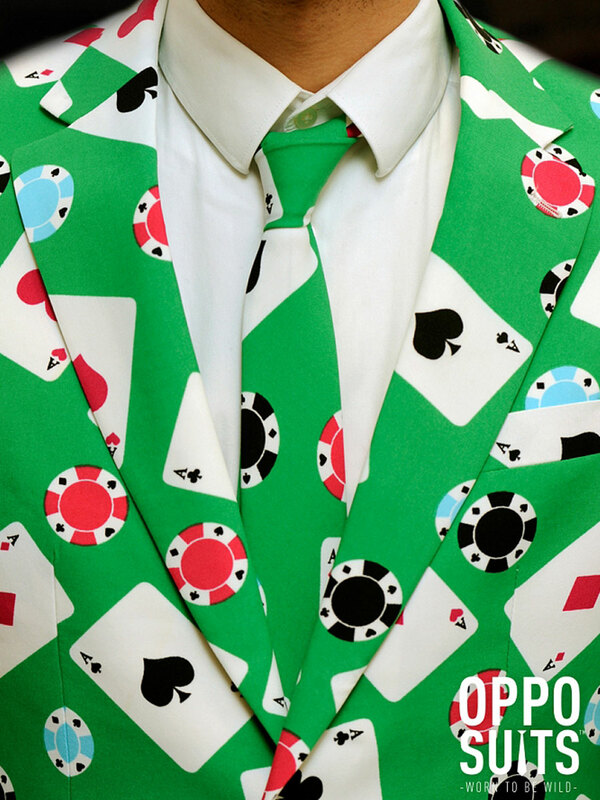 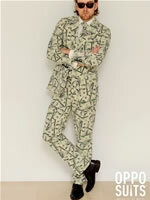 Our Adult Poker Face Oppo Suit features a Fitted Green Suit Jacket with Printed Playing Cards & Poker Chips, Shoulder Pads and Coordinating Pleated Trousers. 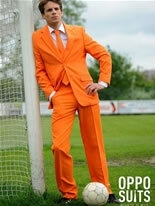 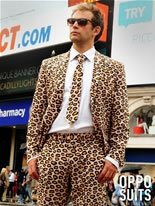 Completing the Suit is a Matching Tie. 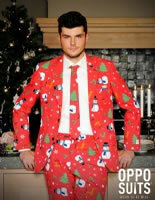 Please note that the White Shirt is not included.